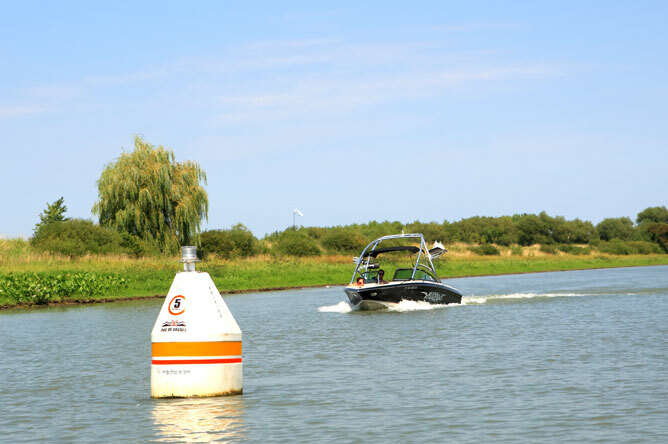 In the narrower channels, buoys are placed as a clear indication for boaters to slow down. This helps prevent shoreline erosion by reducing the effects of boat wakes. Buoy showing 5 km/h speed limit in the Île du Moine channel. 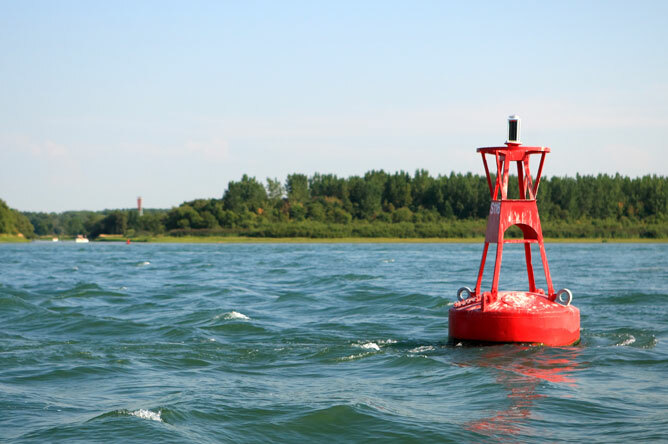 This is a red port hand buoy placed in the St. Lawrence Seaway. When boats sail with the current, they must stay to the right of the buoy. 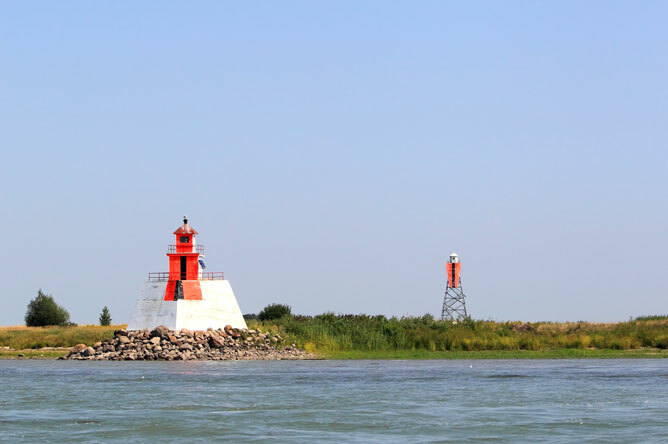 This beautiful lighthouse on the upstream side of Île du Moine was built in 1906. There were originally two lighthouses on the island, which functioned as front and rear range lights. 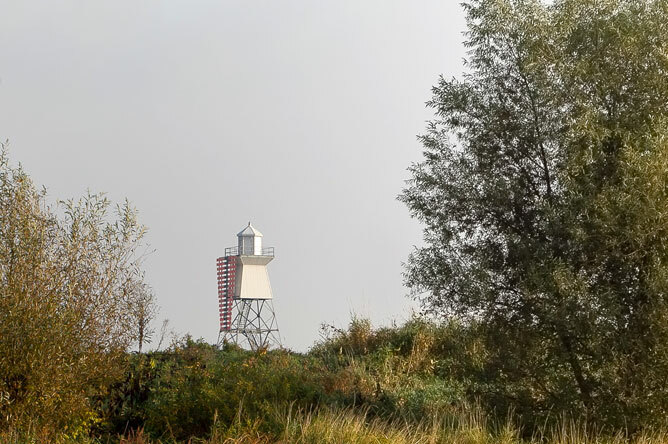 However, the rear range light was destroyed by fire in the 1950s, and a steel lookout tower was built in its place. 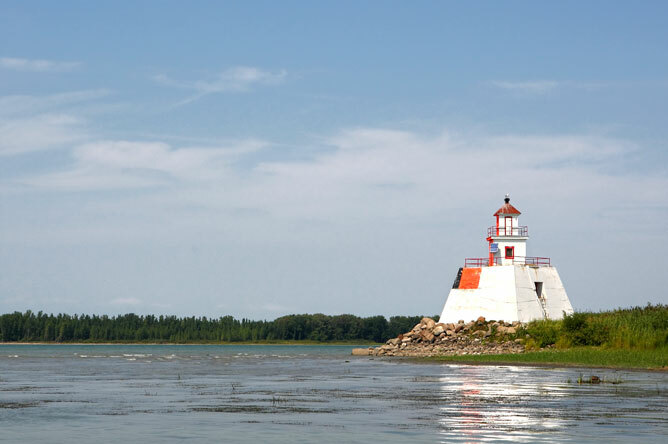 Today, the lighthouse and the tower serve as range lights, helping pilots navigate the St. Lawrence Seaway. The lighthouse on Île du Moine is 11.25 metres tall. When he was courting my mother, my father brought her to the Sorel islands. At the time, this region was a wild garden, thick with willows and irrigated by countless channels—a precious vestige of the dawn of time. We had not yet thought to expand much on what was built by the first settlers. This low island featured a few scattered houses, pontoons with large green Verchère rowboats moored alongside them, a single lighthouse on the western end of the community pasture, and herds of grazing horses, cattle and sheep. 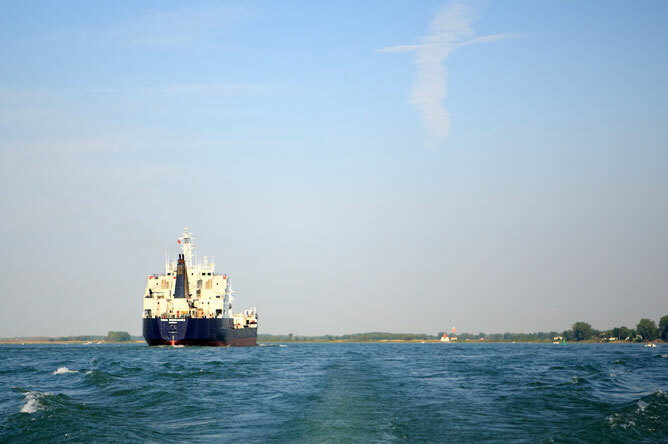 A ship sails along the St. Lawrence Seaway towards Lake Saint-Pierre. The two range lights on Île du Moine can be seen on the horizon. The top of the lighthouse and tower are painted bright orange with a black vertical line, making them visible from afar. The Île de Grâce lighthouse, which also serves as a range light, is powered by solar panels. An old ice-breaker can be seen to the right of the lighthouse. 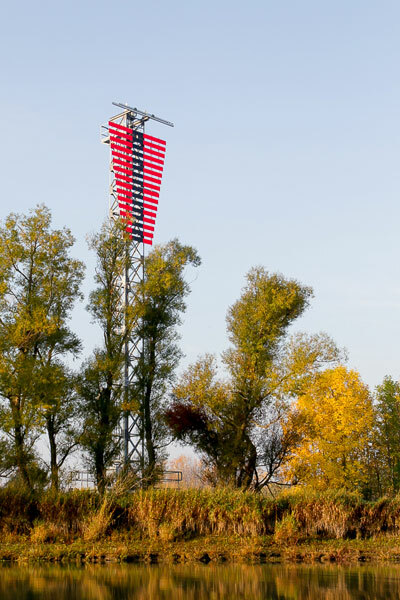 Range lights play a vital role in navigation, ensuring ships do not stray outside the St. Lawrence Seaway. 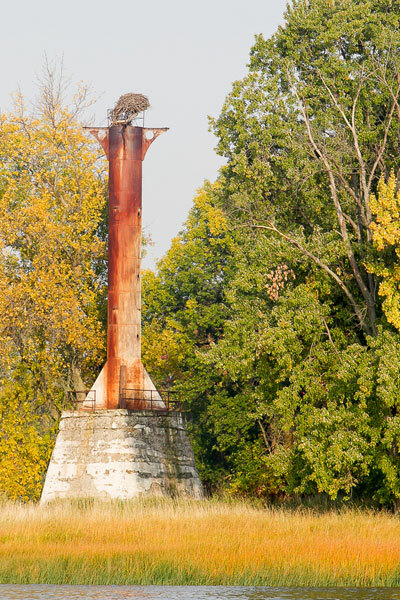 A pair of Ospreys nest on top of this metal structure, most likely the remains of an old range light, on Île Lapierre. This spot offers a clear view in all directions, especially over the St. Lawrence with its abundant fish life. This majestic bird of prey hunts fish, snatching them out of the water with its powerful feet, which are equipped with sharp talons and barbs (known as spicules). It can catch fish weighing up to 2 kilograms. 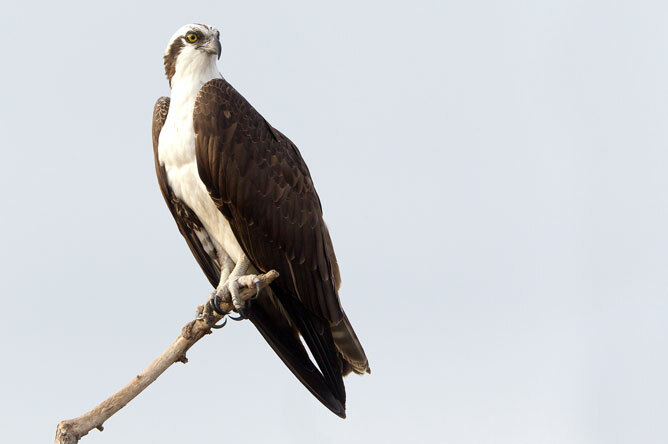 The Osprey has a reversible claw on each foot, which helps it grip its slippery prey. After a fish is caught, the Osprey will position it headfirst in its talons; this improves aerodynamics, making it easier for the bird to pull its prey out of the water and take off. 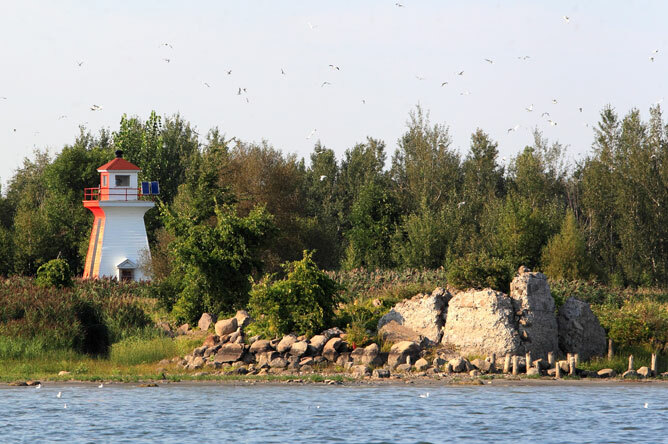 This concrete structure on Île Lapierre is probably the foundation of an old lighthouse. Beside the placid and incurious willows a few young sycamores thrust out their aggressive branches like so many lances couched; while the giant poplars dreamed in a patient expectation of what might come. 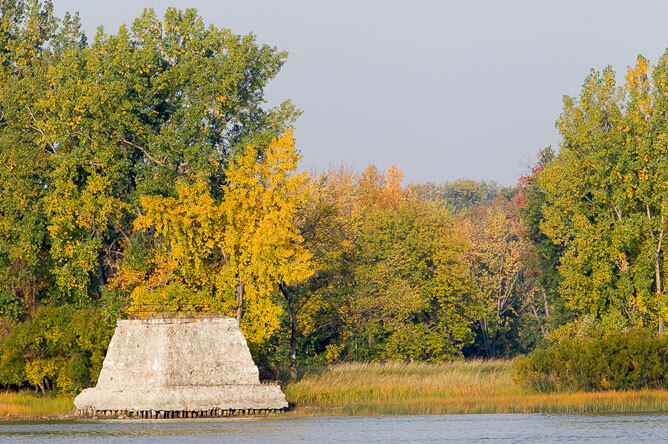 These sentries stand guard on the ends of their islands, and have become an integral part of the landscape. 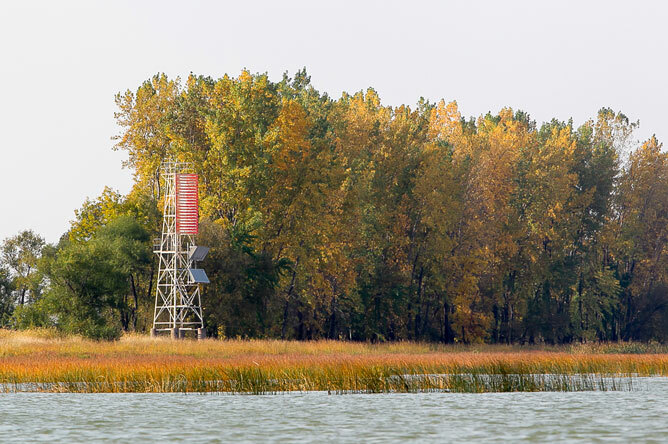 Behind this range light, majestic eastern cottonwoods reach straight for the sky. Michel Forcier, originally from Sainte-Anne-de-Sorel, spent his childhood among the islands of Lake Saint-Pierre. His grandparents made their living by farming, hunting and fishing. He recalls that, around 1952 (when he was still very young), he would accompany his uncle on his rounds as he lit the lighthouse lamps on Île de Grâce and Île Lapierre. Today, the lighthouse on Île Lapierre is gone—nothing remains but the concrete foundation. 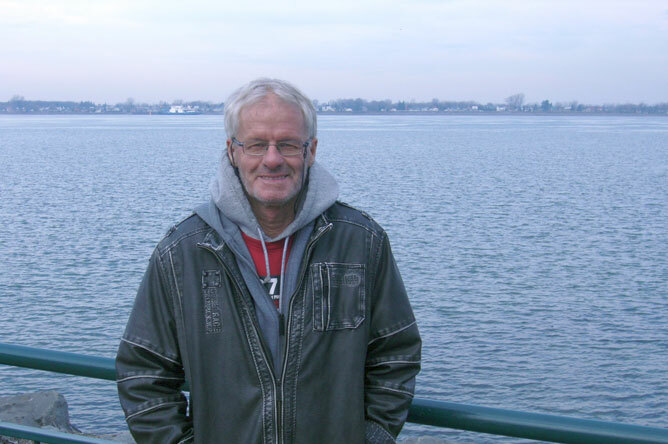 At dusk, Michel Forcier and his uncle would take a boat out to the islands. To turn on the lighthouse lamps, they would have to light a wick dipped in a reservoir of oil. As a young boy, Michel was impressed by the size of the flame and the brightness of the light it cast. They would spend the night at the second lighthouse and return to Sainte-Anne-de-Sorel the next day. When a ship was expected, the lighthouse keepers would be notified so they could light the lamps. 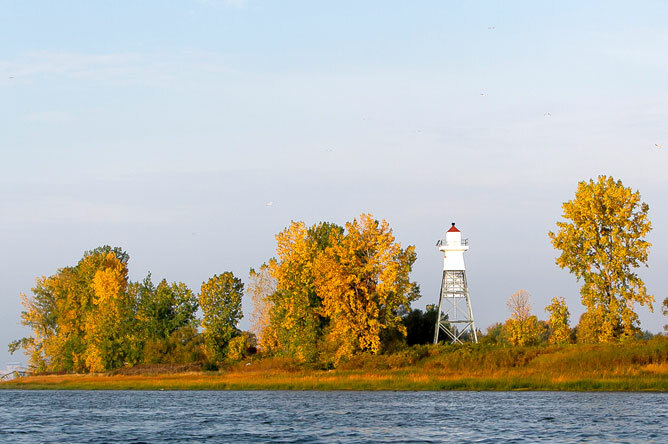 When the St. Lawrence Seaway was opened year-round, the lighthouses were switched to battery-powered electric lamps. Today, the range lights are solar powered. In Chenal du Moine, everyone wanted to be a lighthouse keeper: you got free gas and wood, as well as food and lodging, for half of the year. But this time, the 'burden' had fallen on a stranger, a 'bigwig from the village of Yamaska,' as the locals would derisively call him.